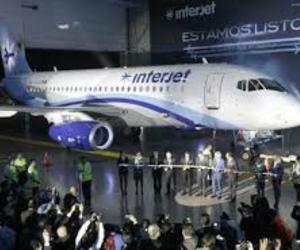 Mexico´s Interjet Airline company will operate two weekly flights fromJuly 14 to the central Cuban city of Santa Clara. The announcement by the Cuban Tourism Ministry explains that the flights will be operated by A-330A airbus planes departing the Mexican capital. Meanwhile, Interjet general director Jose Luis Garza stressed the opening of the new route to strengthen his company´s leadership in flights to the Caribbean nation. The first flight will bring Interjet directives, tour operators and journalists and will be welcomed in Santa Clara by the local tourism authorities. Mexico ranks 10th among Cuba´s tourist markets and the opening of the new Interjet connection joins others that connect Havana to Mexico City, Cancun, Merida and Monterrey, as well as another one between the Mexican capital and the popular tourist center of Varadero in western Cuba.